Pioneers in the industry, we offer gratings with redoxide primer from India. 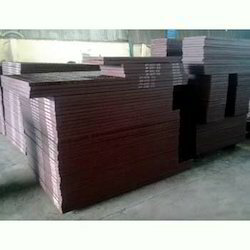 Gratings with Red oxide Primer offered by us are well recognized for their delivering superior functional value as well as longer service life standards because of the adequate protection of red oxide provided in these gratings. These find suitability in areas like walkways and comprise framework of crossed as well as parallel bars that are meshed together in specific designs and finishes as desired by the customers. Some of the other areas where these are used in include in sidewalks, off-shore rigs, ramps, platforms, marine areas and others.